Varsity boys soccer won their final home game of the season against Torres High School 2-1 while junior varsity won their game 1-0 on Feb. 4 2013. As the Varsity game started, SAS junior Alex Flores and TCA sophomore Oswaldo Colindres kept making attempts at scoring goals since the beginning of the game. Finally, towards the end of the first half of the game, Flores made the first goal of the game. During the second half of the game, players were still making the attempt at winning the game. Colindres made the first attempt at making a goal but missed. Soon, Torres made a goal and the game was tied. TCA sophomore Angel Duarte was fouled and missed the goal opportunity. 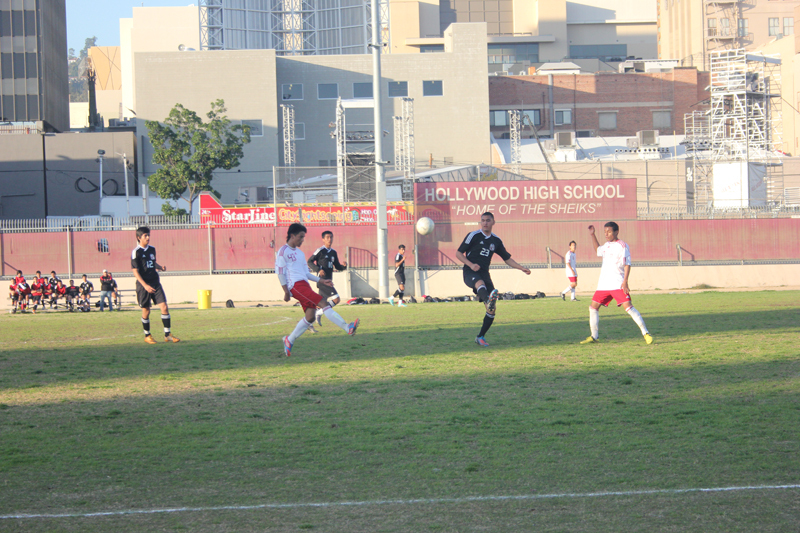 Finally, with less than three minutes to spare, captain Edgar Barrientos, an SAS senior, scored the winning goal. “I can’t explain how happy I felt making the last minute goal,” said Barrientos. Coach Jorge Maldonado was also proud of the team for winning the game and working hard together. “They did fantastic, I’m really happy they won. It was kind of iffy for a while, but the seniors stepped up and one of them made the last goal,” said Maldonado. “It’s great winning our last home game, and the team did well” said senior captain SAS senior Franklin Ayala. However, the boys varsity team lost their two following games against Robert F. Kennedy High School with a final score of 3-1 on Feb. 7, 2013, and Belmont High School, with a score of 2-1, on Feb. 8 2013.